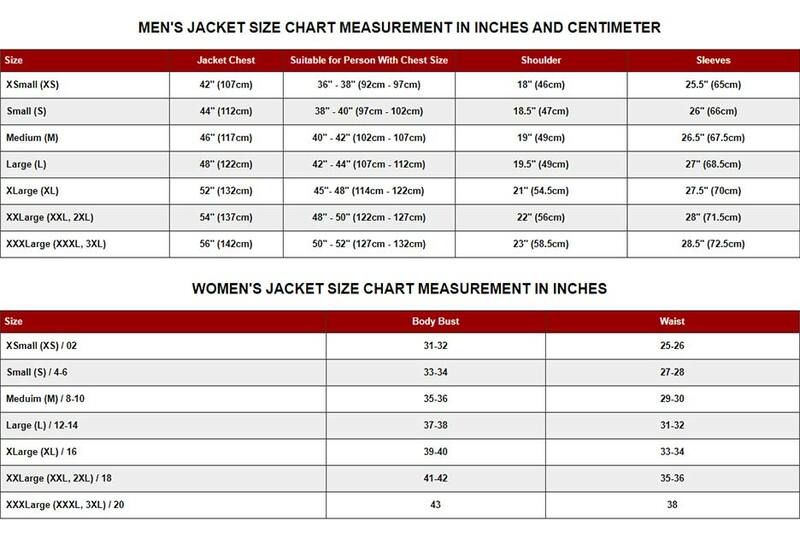 Looking for a biker jacket? Give us a chance to end the campaign with this lovely gem. You can perceive how stunning and extraordinary it looks. Faux Black Leather Jacket is our newest and the most creative version. Front: Shirt style collar, Straight zip fastening for closing. Sleeves: Full fitted sleeves with button cuffs. Pockets: Six different sizes flap button pockets at front. 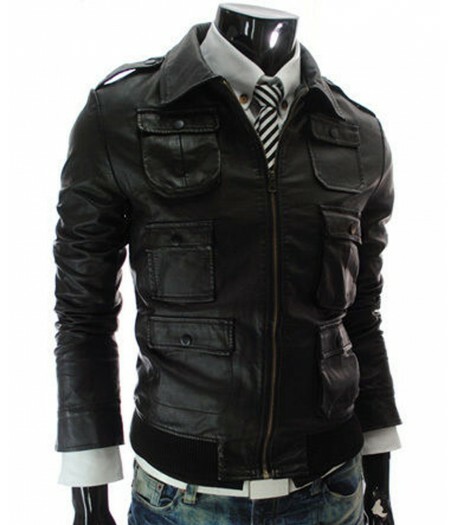 The jacket featuring smooth touch faux leather with sleek fitting and appealing style. 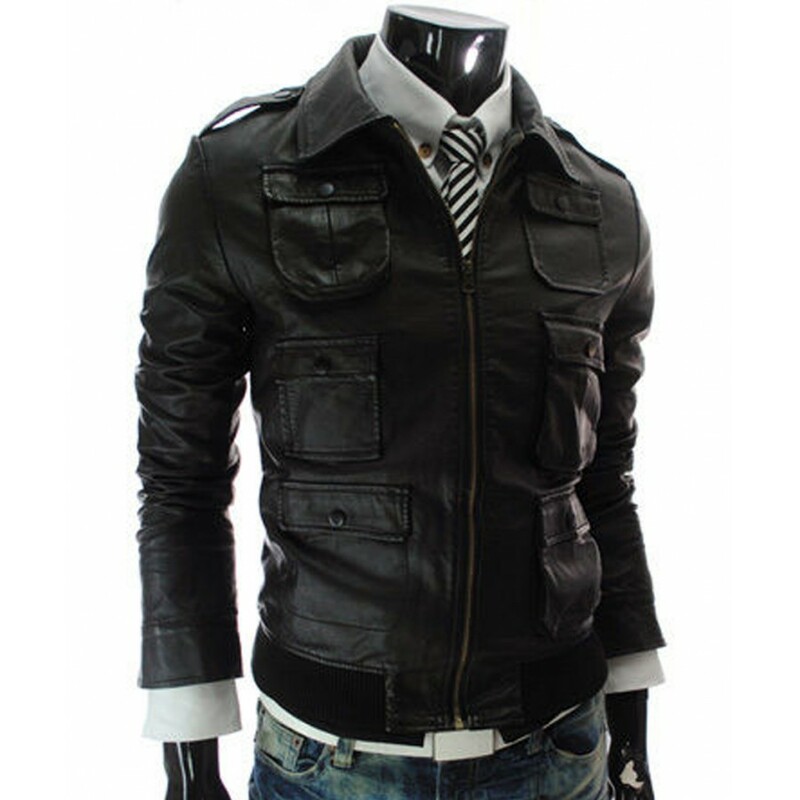 The jacket has a stylish shirt collar, which leads to straight zipper fastening. Most eye catchy element is the multiple pockets which are closable with flap on chest side, which makes it livelier yet elegant. The sleeves has button cuffs which gives a sophisticated look. In addition, on shoulders button straps are present. The black shade of the outerwear is the most exquisite thing. Hemline is design in ribbed knitted style. Multi Pocket Jacket is fabulous and definition of elegancy.